Ghazal Hashemi studied in Germany at Ludwig-Maximilians University earning a Doctor of Dental Surgery (DDS). 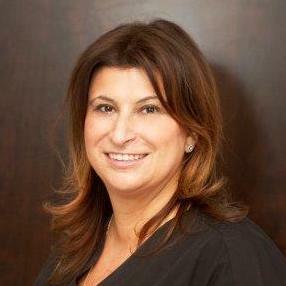 With 20 years of dentistry experience, Ghazal brings valuable knowledge and skills to the Lakeshore Dental team. Outside of the dental clinic, Ghazal is happily married with 2 children. Apart from being an expert on her own kids, Ghazal has much dental experience working with young children and is highly capable of catering to their unique needs. Ghazal improves her patients’ lives through dental procedures but also encourages them to adopt a healthy attitude to maintain their own well-being. Valentin Dabuleanu completed his education in dentistry at the University of Toronto, earning his Bachelor of Science and Doctor of Dental Surgery. Following his graduation, Valentin undertook an internship at the Vancouver General Hospital where he had the rare opportunity to treat patients with complex medical conditions. Valentin later completed his Master of Science in Craniofacial Science/Diploma in Periodontics at the University of British Columbia. Valentin believes every medical treatment carries the sole purpose of improving a person’s quality of life. He employs careful planning, communication and treatment within his team to ensure Lakeshore Dental takes every measure to fulfil that purpose. He also collaborations with his referring dentists, dental specialists and other healthcare providers in the greater Mississauga area to continually innovate in the dentistry field. George is a licensed denturist in practice for over 29 yrs. He is also clinical instructor for the Canadian academy of denturist and a good standing member of the denturist association of Ontario for over 29 yrs. George specializes denture services such as repair, tooth addition, complete or partial denture both removable and implant retained. Bita Tahriri, a registered Dental Hygienist, graduated from Broome Community College in New York with an Associate Degree in Dental Hygiene in 2000. With prior experience in Dental Assistance, Bita’s dentistry experience extends far and wide, allowing her to gain an array of skills. She continually strives for excellence in customer service, clinical skills, and is constantly enhancing her expertise in latest dentistry innovations. In addition, Bita is an active member of College of Dental Hygienists (CDHO) and Canadian Dental Hygienists Association (CDHA). Her dental philosophy is to empower her patients with the knowledge to care for their oral health and overall well-being. Helen Kirou, a certified Dental Hygienist, graduated from the Level II Dental Assisting Program at George Brown College in 1997. After 10 years of experience as a Dental Assistant for a General Practitioner and Pediatrician in the public health sector, Helen completed the Expanded Duties of Dental Hygiene Program at John Abbott College in Montreal, Quebec. Since 2006, Helen is an active member of the Halton Peel Dental Hygienist Society, Canadian Dental Hygienists Association and the Ontario Dental Hygienists Association. She also devotes herself to community involvement and is committed to improving the quality of life for seniors and persons with physical or intellectual challenges. Andrea Young-Baker, a certified Dental Assistant, was born in the sunny Caribbean and grew up in the Greater Toronto Area and Peel Region. Andrea earned her degree at George Brown College and Seneca College. With over 20 years of experience, she offers an array of expertise. Andrea worked as a full-time Dental Administrator and Receptionist for 5 years and now works as a Dental Assistant for Lakeshore Dental. Her curiosity fuels her love for meeting and interacting with new people and continually enriches her experience with diversity. Kameice Browne, a certified Dental Assistant, was born and raised in Jamaica. Moving to Canada in 2007, Kameice attended the National Academy for Health and Business in 2012 where she studied to become a Dental Assistant. She has a passion for dentistry and loves helping others improve their dental health. In Kameice’s leisure time, she enjoys spending time with her family and loves to cook. Kameice is always careful to keep her mouth in top condition to savour her many delicious dishes.